Leadership and storytelling go hand-in-hand. In fact, leaders who lack the ability to leverage the power and influence of storytelling are missing the very essence of what accounts for compelling leadership to begin with – the story. If you’ve ever been captivated by a skilled orator whose articulation and eloquence has influenced your thinking, you understand the power of the art of story. I refer to story as an art form because it is. Storytelling requires talent and practice, but as with any worthy discipline, the investment yields great benefit. A story is the root level driver behind successfully communicating any message. A subtle side benefit of well crafted stories can be found in their versatility – they can be delivered in person or by proxy, and in visual, textual, or verbal form. Stories are the instruments that tug at your emotions, speak to your logic, support your beliefs, and reinforce your positions. Great stories challenge, engage, inform, persuade, entertain, mobilize, convict, and inspire. Smart leaders understand stories highlight learning opportunities and create memorable experiences. Are you consciously and consistently using story to be a more effective leader? There is no denying everybody loves a good story, and there are numerous reasons why. Think about the novels you’ve read, movies you’ve watched, speeches you’ve listened to, ads that have hooked your interest, or virtually any other message delivered by any other medium, and it’s the story that either seals the deal or leaves you feeling cheated. As a leader, it’s your ability to tell a a compelling story that sets the tone from the top. Story is the fabric upon which culture is built. It helps you to successfully establish rapport, evangelize a vision, champion a brand, align expectations, build teams, attract talent, assuage concerns, relieve tension, and resolve conflict. A leader’s story needs to engender trust while implanting your brand promise in the minds of your various constituencies in a manner that is memorable, authentic, relevant, and actionable. Stories are also quite revealing. Carefully listening to a leader’s story will reveal their character or a lack thereof. Disingenuous leaders misuse storytelling in an attempt to shield, buffer, distract, lull, or misdirect. They use story to prop-up their ego, drive their agenda, and to take aim on their adversaries. The storyline propagated by those playing at leadership is all about them. Their stories are laced with “I” and “my” and their primary focus is to shine the spotlight on themselves. By contrast, the authentic and appropriate use of story has an outward focus, and is laced with “we” and “our” as the main points of emphasis. Great leaders understand a story is most powerful when it offers hope and encouragement, when it’s inspires unification and collaboration, and when it has a humanizing effect. Smart leaders understand storytelling is a highly effective method of creating engagement, opening or extending dialog, and finding common ground. Perhaps the most valuable use of story is to shine the light on others. Leaders who use the power of story to publicly recognize the contributions of others are simply more successful than those who don’t. 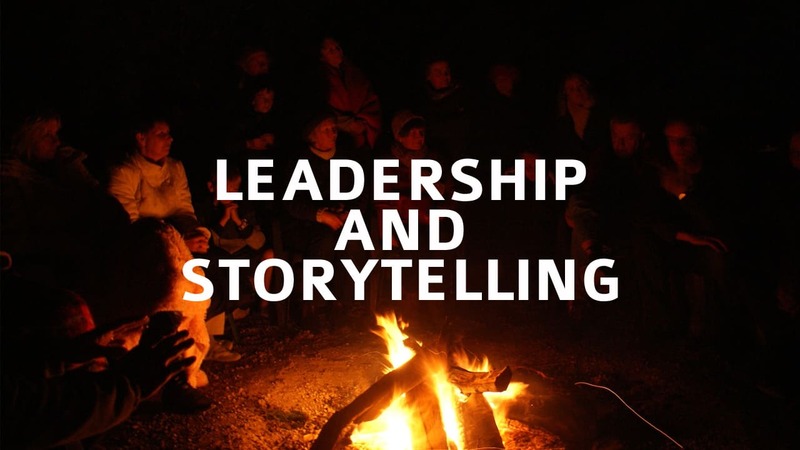 So my question is this; why not incorporate storytelling into your leadership repertoire? While leadership is a complex subject to be sure, it all begins with the story – tell it well and succeed; tell it poorly and fail. This is a simple, yet powerful message I encourage you to take to heart. Finally, while becoming a great storyteller is important for a leader, it’s also important for leaders to become great story makers. Mike, this post is affirming as I embarked on a new focus for my blog as Superintendent/CEO of our school district . It attempts to do what you so eloquently offer in your blog today. Telling and sharing the stories of selfless leaders and leadership and recognizing their contributions and thanking them publicly. I enjoy your posts immensely. Thanks for the kind words Claudio, and best wishes for success with your new position. Few things are more important than the education of our youth. Thanks for what you do. Hi Mike, nice thought provoking post. It is very true that a leader has to be a good story teller, I have read Abraham Lincolns autobiography and Lincoln on leadership, there many incidents where he used to tell a fable story to make his point to his people when he wanted them to understand his point. Since then I too started to implement the same thing in my life and then realised that it is very true we humans just love stories and the stories inspires us, to do more so it is very necessary that a leader has to be a good storyteller. Thank you for this post, your post has always been a boost to my grey cells and a affirmation that I am following the right track towards reaching the top. Thanks for the kind words Rajeev. I have read both the books on Lincoln you mentioned, as well as a few more. He was indeed a great storyteller, but he was an outstanding leader as well – a great model for anyone to follow. Haven’t thought of this, Mike. You yourself is an amazing storyteller, bet you’re a good leader as well. I just happen to see your article through Google, and I’m glad I dropped by. Thanks Mike for your insights on leadership and storytelling, I learned a lot! Thanks for the kind words Lottie. Mike, excellent post, really like the way you connected story telling to leadership. I feel a good leader tells a story that encourages others to co-author so the collection has far more value than a single volume. Insightful comment Joseph. I agree wholeheartedly. Mike, I agree with this post, especially regarding the part of engaging your audience. We connect with leaders that show their human side. I was just reading an article today about “telling someone else’s story” (http://thewritepractice.com/someone-elses-story/). Verbally or written, telling someone else’s story will benefit the audience as much as it benefits ourselves. I agree with your thought stories humanize the storyteller, and that telling someone else’s story is of great benefit. Thanks for sharing. The success of Hollywood, plays, dramas, books, novels, blogs, we can continue to add to find the single common denominator i.e. “THE STORY”.